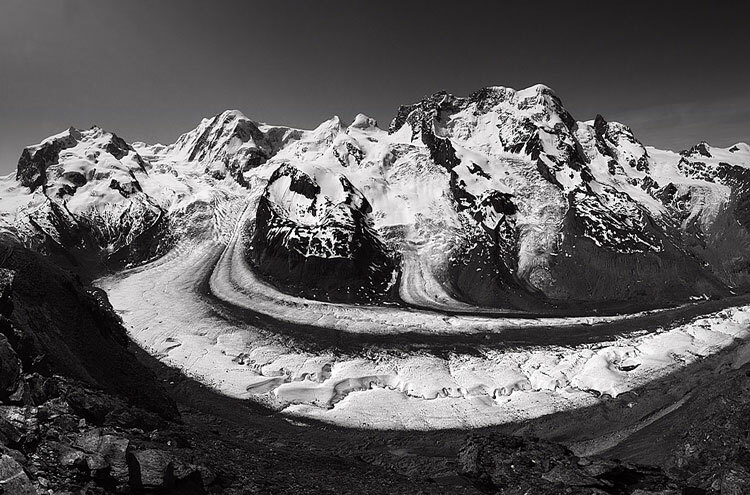 A relatively new alpine walk around the vast Monte Rosa Massif, crossing and re-crossing the Italian/Swiss border. 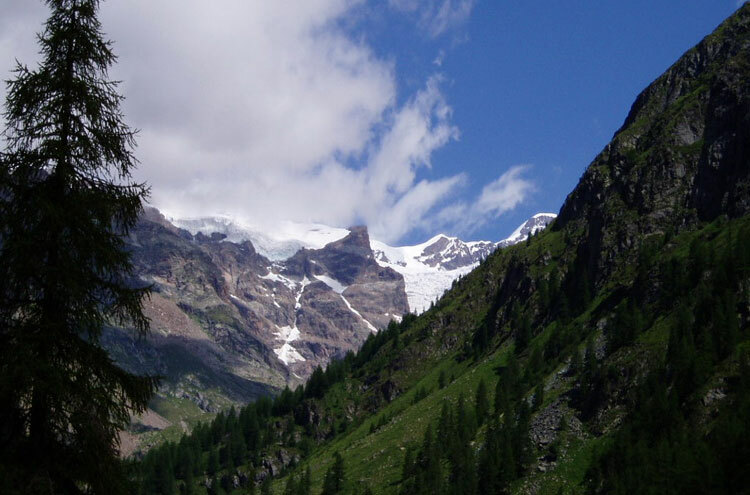 Trek through high meadows, wooded valleys and charming, traditional alpine villages. 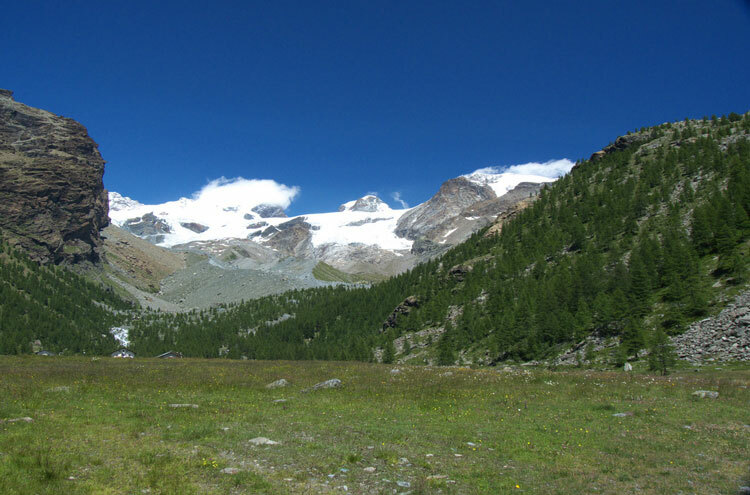 Enjoy spectacular views (some consider them the best in the Alps) from the high ridges and passes, including of the distinctive Matterhorn, on this tough but rewarding walk. Equipped huts in the mountains and hotels in the many villages mean that you do not need to carry tents and sleeping bags. This is a tough walk in high mountains, on which you will have to be self-sufficient. Come prepared. 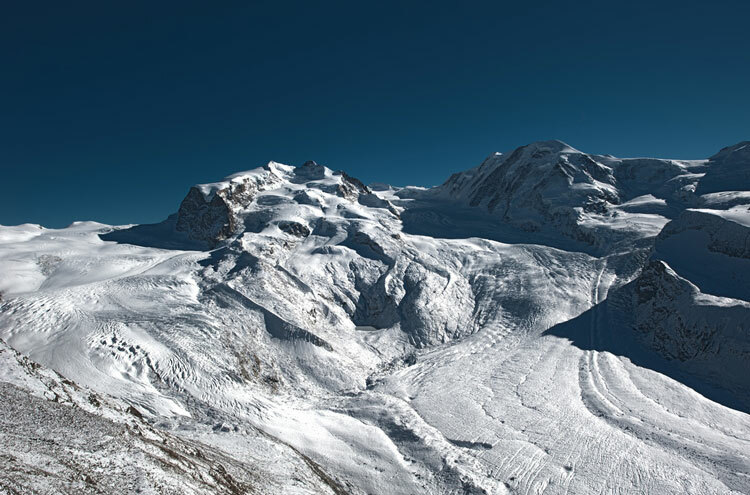 The Tour of Monte Rosa is a fabulous trek in the area of the Alpine watershed, on Switzerland's border with Italy. 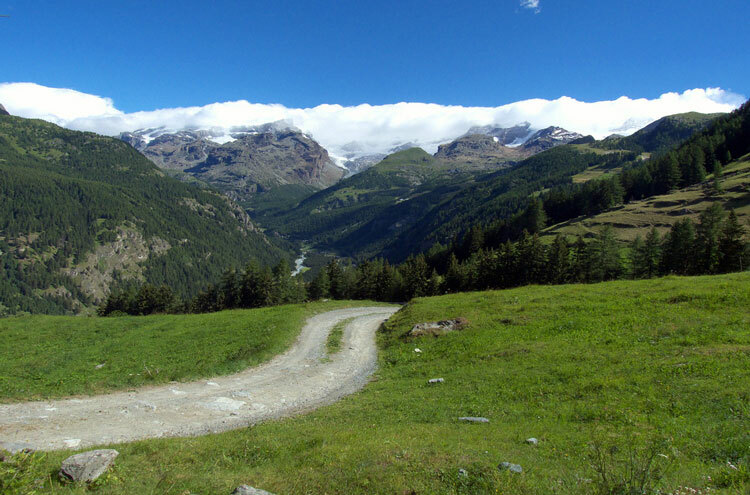 Walk from alpine villages up past low pastures with their grazing animals, gradually entering wilder mountainous landscape and vegetation before crossing passes (some snowy), each time descending again into the next valley and another opportunity to soak in the culture of these secluded communities. 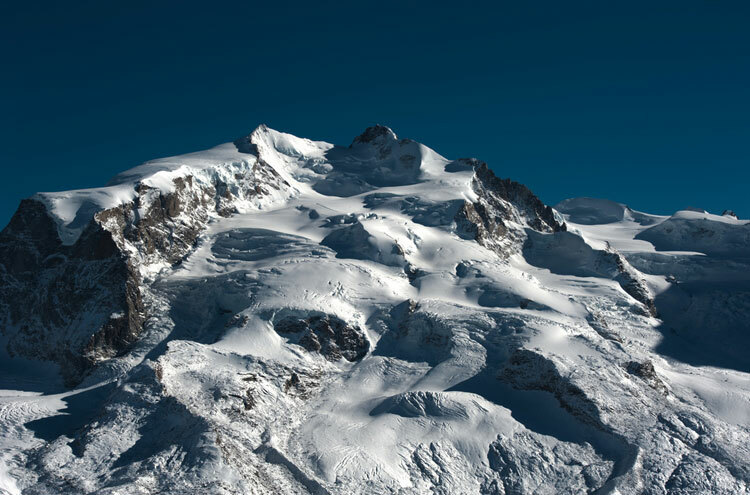 Although Monte Rosa cannot claim the height of the more famous Mont Blanc, its ten peaks of more than 4,000m into the skyline give it an impact and grandeur all of its own: Leonardo da Vinci claimed that it seemed almost to overtake the clouds'. 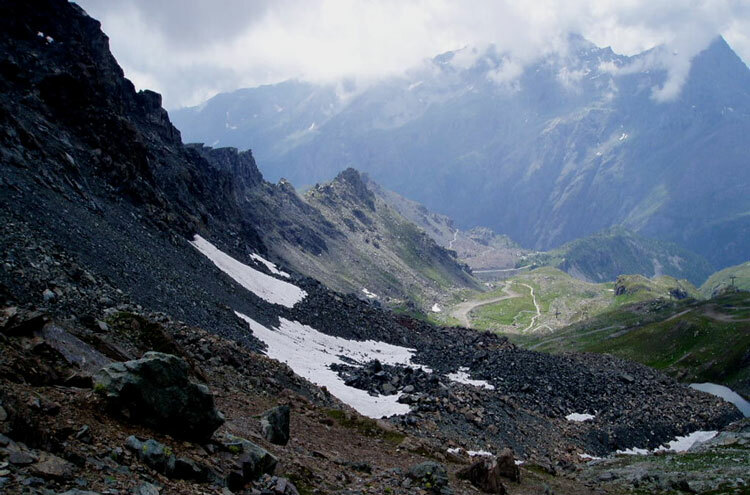 This tough mountain, with its deep snow, glaciers and crevasses, is a challenging prospect; the Tour offers a demanding trek around it, taking in the unique blend of cultures around the border and the comparatively isolated feel of the area, whilst still allowing walkers to face the glaciated Theodul Pass (3,290m). 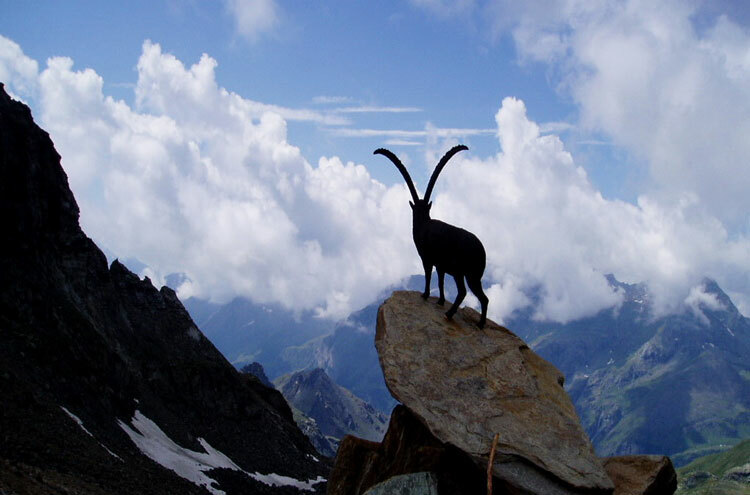 Some of the trails you will follow are ancient, and it is surprisinging that they should still feel it, given the amount of development common in the Alps. You will stay in mountain huts and/or small village hotels.